Martha Stewart Living was one of six lifestyle magazines chosen by the White House to contribute their holiday decorating ideas to rooms in the president's guest house, the Bair House, and the State Department Diplomatic Reception Rooms. The initiative is called "Diplomacy at Home for the Holidays." 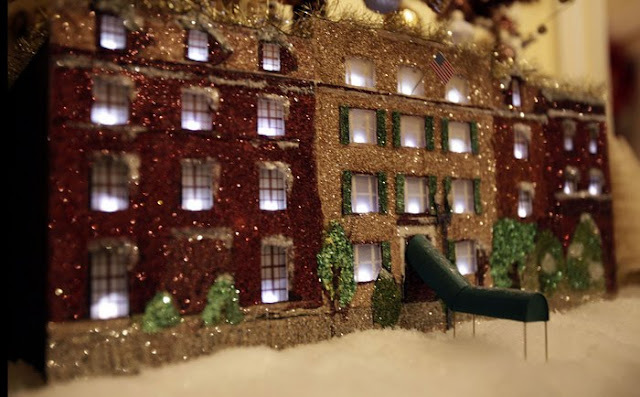 A miniature version of the Blair House was created and laden with glitter from the Martha Stewart Crafts collection. 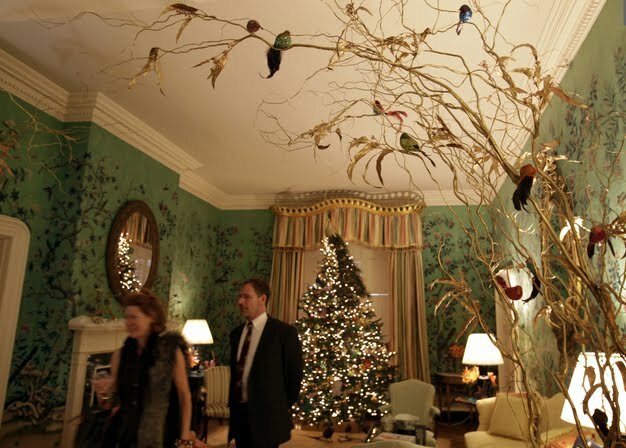 Editors for Martha's magazine were responsible for the Lee Drawing Room, which they decked with ornaments based on the stylized birds on the room's 18th Century wallpaper. 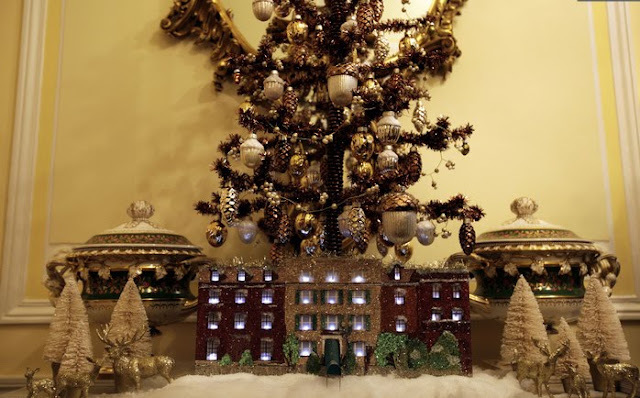 Martha also furnished the Blair Dining Room with an all-candy theme that involved lollipops, a pink feather tree with ribbon candy and a gingerbread version of the house. (Photos by Susan Biddle for the Washington Post.) 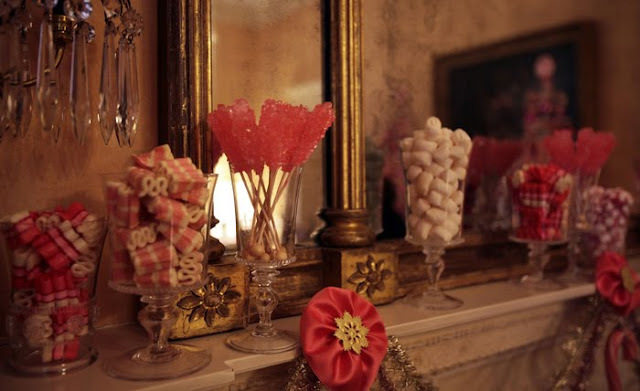 The mantel in the dining room was also festooned with vessels filled with various candies. I'm shocked that I can't say I'm impresed by either. The Lee Drawing Room is a bit too literal with birds in branches to match birds on the wall. Too busy. Are there links available to more pictures? I'm not that keen on the rooms either. I expected more. Martha did mention doing something which involved the front of the Blair House. Maybe more photos will come out showing a better view of the rooms. I love the birds! Festive but elegantly lovely.